Surfaced cycle track around reservoir. Surfaced paths to Mander Hide & Valley Creek Hide. Other paths more awkward. The reservoir was created in 1965 to provide people with drinking water and was immediately colonised by wildlife. The nature reserve surrounds the western side of the reservoir and contains ancient and plantation woodlands, grasslands and wetland habitats such as reedbeds, willow and open water. Grafham Water is one of the prime bird watching sites in the county, with rarer visitors such as osprey and the occasional Slavonian grebe, alongside the more familiar resident mallards and greylag geese. With nine miles of shoreline, and around 170 species of bird recorded each year, there is always something to see. 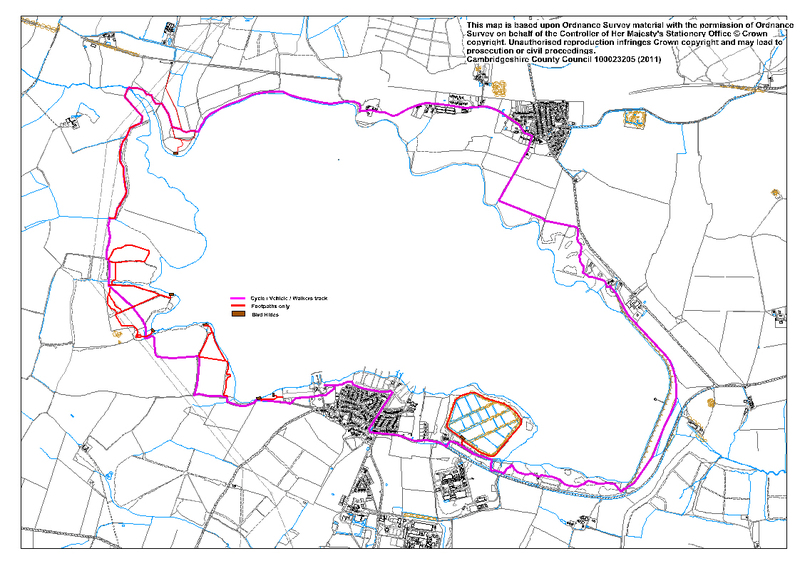 For further information about the different areas of Grafham Water click on the PDFs below Grafham Water (pdf) Path and hides map (pdf) Dudney hide (pdf) Lagoons hide (pdf) Littless hide (pdf) Lymage hide (pdf) Mander hide and Wildlife Garden (pdf) Savages Creek (pdf) Valley Creek hide (pdf) The map below is for indication purposes only and does not show the Wildlife Trusts definitive land boundary.